As highlighted in this previous post, in November 2017 Chi Ping Patrick Ho (pictured) and Cheikh Gadio were criminally charged with conspiring to violate the Foreign Corrupt Practices Act, violating the FCPA, conspiring to commit international money laundering, and committing international money laundering in connection with alleged bribery schemes in Chad and Uganda on behalf of China Energy Fund Committee, an entity funded by CEFC China Energy Company Ltd. In July 2018, Ho’s motion to dismiss was denied (see here), in September 2018 the DOJ quietly dismissed charges against Gadio (see here), and in late November Ho’s trial began with Gadio as a primary DOJ witness. Yesterday, the DOJ announced that after a one week trial a federal jury found Ho guilty of one count of conspiring to violate the FCPA, four counts of violating the FCPA, one count of conspiring to commit international money laundering and one count of committing international money laundering. 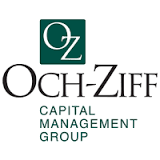 Och-Ziff, a publicly-traded hedge fund that has been under Foreign Corrupt Practices Act scrutiny since 2011 for its business dealings in Africa, recently disclosed that it is in discussions with the DOJ and SEC regarding resolution of the matter. As noted in this recent post, Och-Ziff has reserved over $400 million in anticipation of the resolution. (For the latest on this expected resolution see here). In the meantime, a criminal complaint was recently unsealed charging Samuel Mebiame, a Gabonese national connected to Och-Ziff, with conspiracy to violate the FCPA’s anti-bribery provisions. Will The DOJ Also Bring An Enforcement Action Against Griffiths Energy? This post summarizes that enforcement action, including allegations in the Statement of Facts concerning conduct in the U.S. that would seem to provide a basis for the U.S. Department of Justice to also bring a Foreign Corrupt Practices Act (“FCPA”) enforcement action against GEI. Given that the above release was unclear as to whether the DOJ investigation is active or closed, I asked GEI this precise question, and the response from the company’s external public relations advisor last week was as follows. “Griffiths Energy’s management is not available to comment.” That answer would seem to suggest that the DOJ investigation is not closed. The Statement of Facts in the CFPOA matter (see here) focuses on GEI’s efforts to obtain a production sharing contract (“PSC”) with the African nation of Chad to provide GEI with the exclusive right to explore and develop oil and gas reserves and resources in the Borogop and Doseo blocks in southern Chad. In sum, GEI agreed that it “directly agreed to provide, and indirectly provided, improper benefits to a Chadian public official in order to further the business objectives of GEI and its subsidiaries.” The public official is Chad’s Ambassador to Canada, Mahamoud Adam Bechir (the “Ambassador”), and by extension his wife Ms. Nouracham Niam. Because Chad had no embassy located in Canada, the Ambassador resided in Washington D.C. However, a second consulting agreement, “with identical terms” was entered into in September 2009 between GEI and a Nevada entity wholly-owned by the Ambassador’ wife. According to the Statement of Facts, “a subscription agreement associated with the grant of 1,600,000 founders shares in GEI” to the Ambassador’s wife was also entered into and accompanied by a Western Union payment for the share price. The Statement of Facts also indicates that “two other individuals” nominated by the Ambassador’s wife also were given the opportunity to purchase founders shares. These individuals included the wife of the Deputy Chief of the Chadian Embassy in Washington D.C. The Statement of Facts next discuss a meeting in Washington D.C. arranged by the Ambassador’s wife between “high-level officials from both GEI and the Government of Chad” to sign a memorandum of understanding (MOU) in relation to the blocks. The MOU was not signed at this meeting, but was shortly thereafter. During a change in Chad’s government, a final production sharing agreement was delayed, and a new MOU was signed in November 2010. According to the Statement of Facts, in January 2011, “GEI engaged new external legal counsel and transferred PSC-related documents for review” and GEI “also instructed new external legal counsel to either extend or redo the original consulting agreement” referenced above. In mid-January 2011, the renewed consulting agreement was signed by GEI and the Ambassador’s wife. Thereafter, “GEI and its outside legal advisors then travelled to Chad to complete the negotiations for the PSC” and on January 19, 2011, the PSC was signed. Shortly thereafter, the $2 million payment from GEI to the Maryland entity wholly-owned by the Ambassador’s wife was made and deposited in the entity’s bank account in Washington D.C.
GEI is a privately-held Canadian company and as such the FCPA’s dd-3 prong could apply if (in the words of the FCPA) GEI “or any officer, director, employee, or agent … while in the territory of the United States, corruptly [made] use of the mails or any means or instrumentality of interstate commerce or to do any other act in furtherance of” the payment scheme. It is also interesting to note the relevance of the two “domestic concerns” (in the words of the FCPA) – namely the Maryland entity and Nevada entity – in the conduct at issue. Returning to the CFPOA action, this is only the third instance Canadian authorities have brought corporate charges under the CFPOA. (See this prior post with an analysis of the Nikko Resources enforcement action and general reference to the Hydro Kleen enforcement action). The Statement of Facts provide a useful description by the Canadian authorities of facts and circumstances they considered when arriving at the ultimate fine amount of $9 million (plus the 15% victim fine surcharge) for a total amount of $10.35 million. Under the heading “Full and Extensive Cooperation with Authorities” the Statement of Facts indicates as follows. GEI’s current board and management learned of the consulting agreements “in the course of conducting due diligence in anticipation of its initial public offering which was to take place prior to Dec. 31, 2011. “Immediately” thereafter, a Special Committee comprised entirely of the independent members of GEI’s board was created and engaged outside legal counsel and forensic accounting experts. “Hard costs paid to GEI’ legal and accounting advisors on the internal investigation currently stand at CAD $5.0 million. As to GEI’s “current development and exploration activities in Chad” see this recent company release.